The Baker Hughes rig count report shows U.S. oil rig count decreased by 2 rigs to 859. 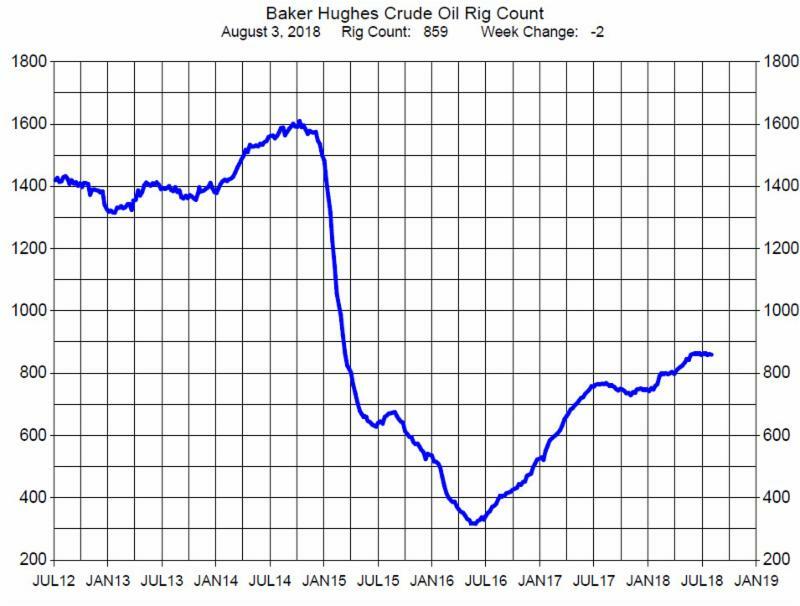 The rig count remains stalled. Since the end of May the rig count has been close to 860. Crude prices are currently range bound between $67 and $70. So it appears that the producers are still waiting for a confirmed direction of prices before adding or reducing active rigs.